After 12-year-old Annie Gainer learned her grandfather had developed Alzheimer's, it took only a year for an especially precious part of his memory to slip away -- one that left him unable to remember her name. "We made him a scrapbook. He has 36 grandkids but he can only remember his children’s names," Annie told The Huffington Post. "He can’t associate that me and my brothers are my mother’s kids." Determined to help others living with Alzheimer's, Annie and six of classmates at St. Catherine of Alexandria in the Chicago suburb of Oak Lawn put their heads together to conceive a facial recognition concept smartphone app for the annual Verizon Innovative App Challenge. "We didn’t do it for the money or the prize," Annie said. 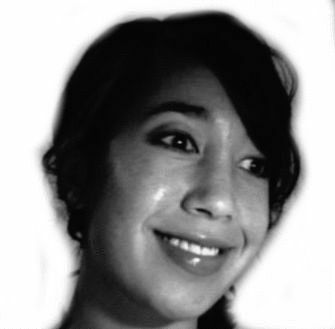 "We just want to get it created to help Alzheimer's patients." Dubbed "Remember Me," the app would use facial recognition technology and a smartphone camera to help Alzheimer's patients recognize family, friends, caregivers and even pets -- sort of like a scrapbook. A single snap of the camera would pull up information like the subject's name, age, relationship to the patient -- and even previous photos of the patient and subject together. Though the app fell short of the national prize when the challenge wrapped Tuesday, "Remember Me" picked up "Best In State" and "Best In Region" accolades. The team also picked up a $5,000 cash prize for their school. Annie said even though their app won't be taken up by Verizon, she hopes they can find someone to take their demo and bring the app the life. “This group of girls is amazing," science teacher Carolyn Anderson, one of the team's faculty advisors, told HuffPost. "They’ve never once asked what they were going to get out of it. They just wanted to help others. And they really wanted to see it used to help Alzheimer's patients." 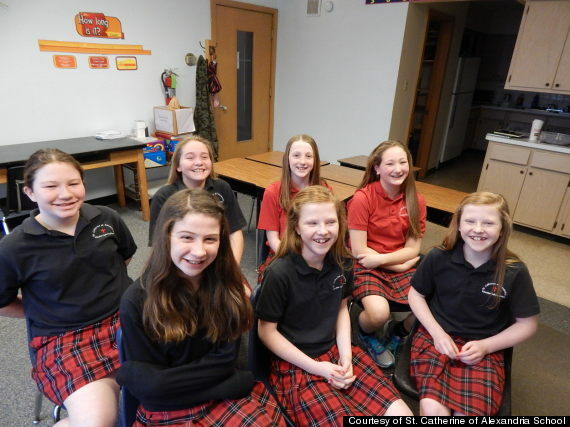 Classmates Isabelle Arquilla, Molly Fineran, Annie Gainer, Clare Murphy, Bridget Murphy, Ellen Murphy, and Autumn Stanke are all sixth-graders at St. Catherine of Alexandria in Oak Park, Illinois. The girls recently won state and regional awards from Verizon for a smartphone app concept that would help Alzheimer's patients. It all started when a parent who used to work for Verizon brought up the competition at a school board meeting. “This is our first time doing [the challenge] — we had no idea what we were doing," Anderson said. “We threw it out to all our students in six through eighth grade." The competition, now in its third year, is aimed at boosting middle and high school students' interest in STEM (science, technology, engineering and math) subjects. Under the guidelines of the challenge, each app concept had to align with education, healthcare or sustainability. Annie said she and her teammates all have cell phones -- mostly used for "social media and games" -- but as a result of the app challenge, the girls have all taken a keen interest in medical and mobile technology. "I never really thought about having a job like this before, but after doing this [challenge], I think this would be a really fun job," she said. Anderson is thrilled about what the future holds. “I’m so excited to have a group of girls excited about science and tech," said Anderson, who will teach the students when they reach seventh grade this fall. "There’s always this stigma about girls liking science and the idea that girls should excel at reading. They didn’t care about that -- they all want to have careers in science and medicine."